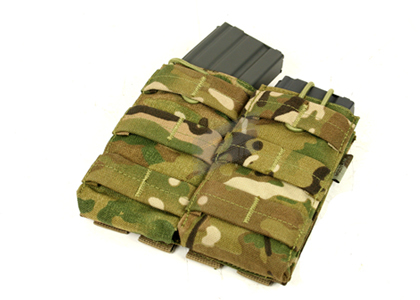 This MOLLE Open TOp DUal M4 Mag Pouch fits two (2) M4 magazines. The open top of this magazine pouch gives the user quick access to his magazines in order to reload in a hurry. Adjustable strap with pull-tab to hold the mags tight. Grommet on the bottom of the pouch allows for drainage. Pretty good pouches.... They fit a little tight around my thermold mags, but I can still sue them. I suggest using only normal AR-15 mags with these. 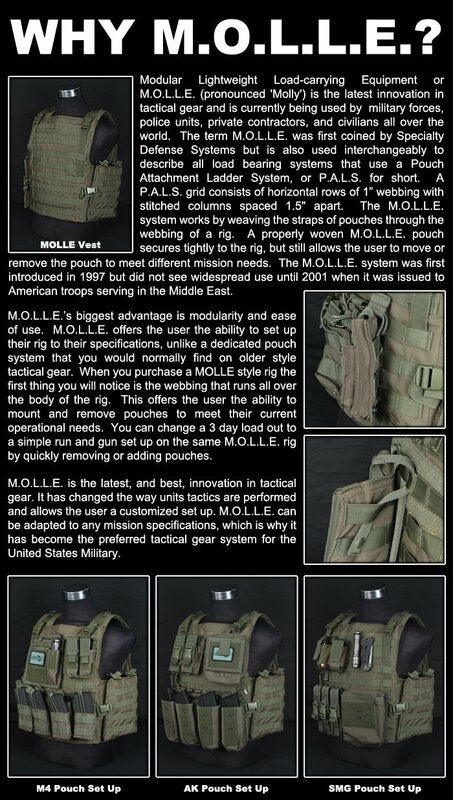 You can mount an additional row of pouches on the fronts of these because of their straps on the front. 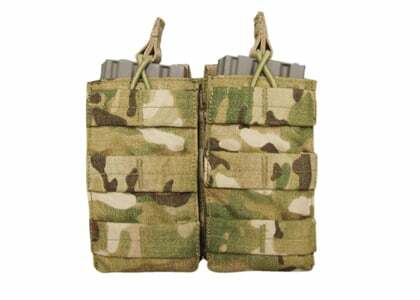 Unfortunately, these pouches can only be used with AR-15 mags, as AK-47 and -74 mags are too tall and curve too much. These are also good for stealth play, as there is no velcro to undo when a reload is needed. Well designed pouch. Good for holding any STANAG type magazine. Keeps your mags in place so they won't rattle around while running. do these come with straps in the back to go onto the mollie?